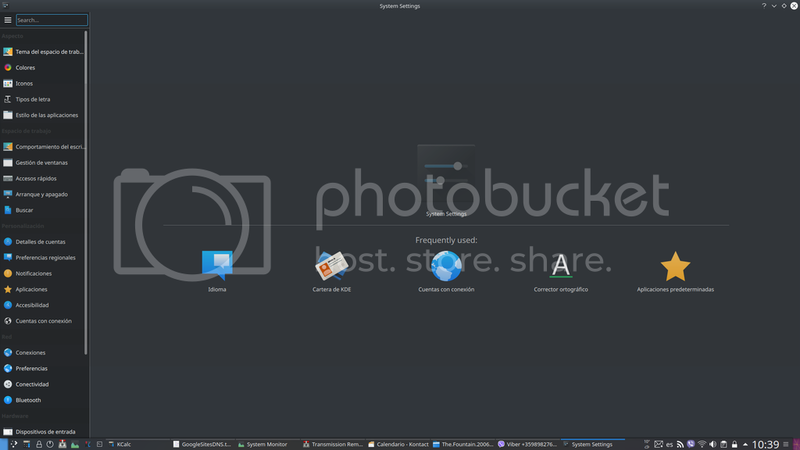 That has zero relevance to Plasma, being in kde-apps/ category. It is explained there anyway ^ did you actually read that link? Please also note that it is part of the Applications section, not Plasma. A software may support a feature named internationalization. This feature defines a method to ease the translation process for software programmers. The "internationalized feature" defines a process to manipulate a set of data that can be translated and the "localization feature" provides the set of translated data. We may use the LINGUAS environment variable to limit the set of installed localization data (organized per language) because we may not need all the available languages provided by a package. Internationalized packages have usually many ll.po files. Unless translations are disabled, all those available are installed together with the package. However, the environment variable LINGUAS may be set, prior to configuration, to limit the installed set. LINGUAS should then contain a space separated list of two-letter codes, stating which languages are allowed. One uses the expression Native Language Support, or merely NLS, for speaking of the overall activity or feature encompassing both internationalization and localization, allowing for multi-lingual interactions in a program. In my opinion, the mentions about localization in the Wiki articles should be reworded (add specific words and general information about localization) to avoid confusion or misinterpretation. nls: it's just a regular global USE flag enabling localisation in packages / pulling in additional packages to get localisation. Asturm, could anyone update the developer manual? You are invited to check for any kde-plasma/ and kde-apps/ ebuild to have LINGUAS use flag. You won't find any where it isn't just used as environment variable. krinn, I disagree: it is the N option that implies the rebuild because of the USE flag change. And -U will rebuild package when useflags changes are done by the user (so ignoring changes that comes from new ebuild or profile) while -u will always rebuild them if useflags has changed. One or the other, in this case, the user has done the change.